There’s bound to be pressure when it takes 2500 years to get to a second date. Which is exactly why Theo Rockman, a.k.a. Prometheus, would rather not go. With his best friend gravely injured and the fate of humanity still on the line, Theo has all sorts of creative excuses to avoid dating swoon-worthy god and love of his life, Hephaestus. 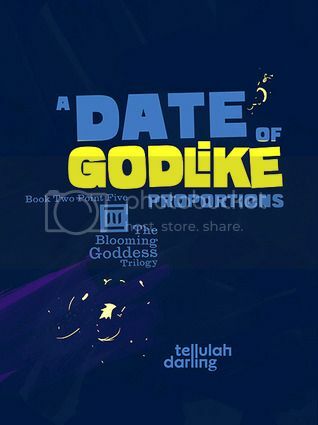 YA romantic comedy gets an epic mythological twist in the free (at select retailers) short story A Date of Godlike Proportions (The Blooming Goddess Trilogy Book 2.5). Being human hasn’t killed Theo, but this date just might. 1) When Harry Met Sally - This movie is the gold standard of romcoms. It's funny, it's insightful, the characters are flawed and deluded and above all its totally fabulous and all about love. Also, I'm a sucker for "best friends becoming more" films. In fact my first novel, Sam Cruz's Infallible Guide to Getting Girls was written precisely because I love this film so much. 2) The Princess Bride - I've met people who don't like this film with its whimsey and wit and magic and love. They are cold dead people. No judgement. I'm just saying. It also wins for best way to say "I love you." 3) Scott Pilgrim Vs the World - There have been a lot of crappy romcoms in the past decade or so but this isn't one of them. The premise of having to battle Ramona's seven evil exes is so fun and executed with such glee. The love triangle (square?) is wonderful and I love Kieran Culkan. There is no downside to this film. 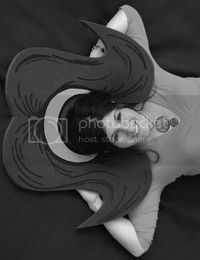 So over the top and yet wonderfully deadpan at the same time. 4) His Girl Friday - If, like me, you like your banter witty and your leads so very deluded in their feelings for each other, then this is your film. The dialogue is gunfire fast and whip smart. I love, loathe, and love again Cary Grant's character, while Rosalind Russell gives as good as she gets. A classic for all the best reasons. 5) Strictly Ballroom - Any film whose HEA is captured in a joyous dance number is okay by me. Plus it's an ugly duckling story and the scene with Doris Day singing "Perhaps Perhaps Perhaps" makes me swoon like nothing else. Another totally over-the-top film but if you can't go big when it comes to love, then go home. I hope I gave you some new romcom favs today. Let me know which ones you love! My pleasure! Thanks for visiting!